Hi, Allen Park, We're Szalai & Szalai DDS! Home » Blog » Hi, Allen Park, We’re Szalai & Szalai DDS! Hi, Allen Park, We’re Szalai & Szalai DDS! We are Greg & Joanne Szalai, and we are the dentists at Szalai & Szalai DDS. The caring and professional staff here would be happy to answer any questions you have about important dental topics such as cosmetic dentistry, teeth whitening, veneers, gum contouring, and much, much more. We also strive to help our Detroit patients develop the oral health habits that will keep their mouths as healthy as possible and their smiles clean and bright. Please give us a call at 313-928-2323 so we can schedule an appointment for you. We are conveniently located at 5329 Allen Rd in Allen Park, Michigan. 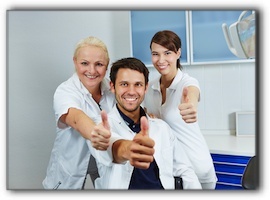 We are certain that you will be happy with the quality care that you will receive here. Dearborn: Is Your Low-Carb Diet Giving You Dragon Breath?